Manchester City are without doubt one of the most productive teams when it comes to racking up fantasy football points. They have scored eight goals in just two games so far this season with the likes of Ederson, Benjamin Mendy, and Sergio Aguero among the highest points scorers in their positions. 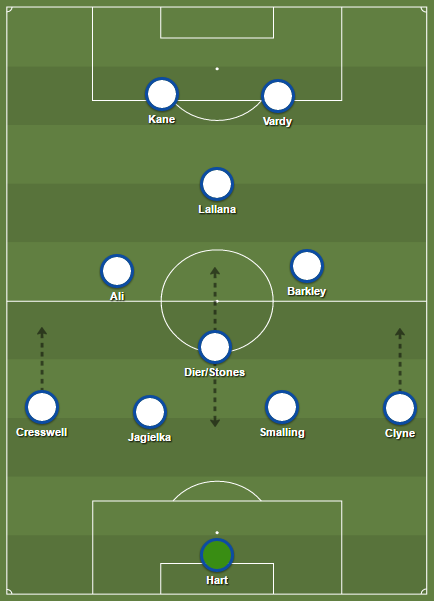 But given the depth of their squad there are conundrums when choosing which of their stars to have in your lineup. Last season was easy. Kevin De Bruyne played almost every game and regularly racked up points through assists or bonus points, but with the Belgian out of action for a number of months through injury, there are big decisions to be made for fantasy managers looking for their weekly Man City haul. Silvas Dave and Bernard have made goalscoring starts to the season, and should play important roles in De Bruyne’s abence. Bernardo Silva’s versatility make him a good choice, as he’s able to play from the right as well as in a more central attacking midfield slot so should be selected by Pep Guardiola more often than not. The only reason he might not is if the manager opts to give Riyad Mahrez more minutes, and prefers Ilkay Gundogan in the middle. Bernardo’s price has already risen by 0.1 to 7.6 on the FPL transfer market thanks to his goal on opening day, but he followed this up with a more disappointing performance (at least in fantasy football terms) in the 6-1 win against Huddersfield, somehow not managing to get a goal or an assist in this rout. David Silva, on the other hand, came into his own, rounding off his return to action with a stunning free kick which rewarded those who’d stuck with him after his Gameweek 1 absence. His failure to appear in the opening game saw many get rid and his price dropped by 0.1 to 8.4 as a result. Many replaced him with namesake Bernardo. David Silva might not stay at this lower price for long, however, and he could be set to step into De Bruyne’s role. the Spaniard created six chances against Huddersfield and though none of them turned into an assist, this is a good sign that they might come in the future. The attacking midfielder bagged 11 of them last season, and though goals are a relatively rare bonus as was the case with assist-king De Bruyne, he’s already showed that he can step up to the plate at free kicks. So you can add set pieces to the reasons for putting him in your side. Manchester City face a trip to newly promoted Wolverhampton Wanderers this week. The Midlands side are a relative unknown and haven’t had the start to the season many tipped for them. Regardless, Pep Guardiola will have done his homework meticulously as usual. The week after they face Newcastle at home, and though Rafa Benitez’s side can be stubborn City still managed to put three past them last season. The visitors will arguably be in worse shape when they visit the Etihad this time around. De Bruyne was fantasy football gold last season, but settling for Silva in his absence may not be a bad idea ahead of September’s international break.